Quality axle. Great price. Excellent customer service. 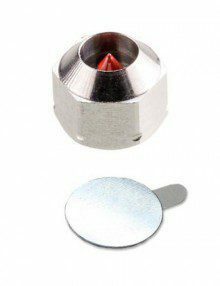 Excellent quality, very good price, shipping without setbacks. 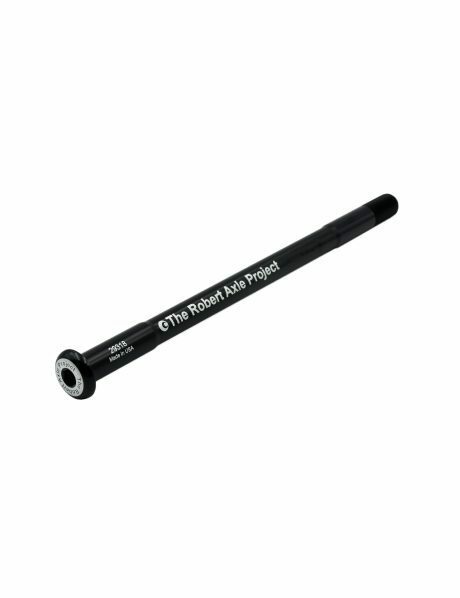 Perfect as a replacement for a shaft with quick closing. 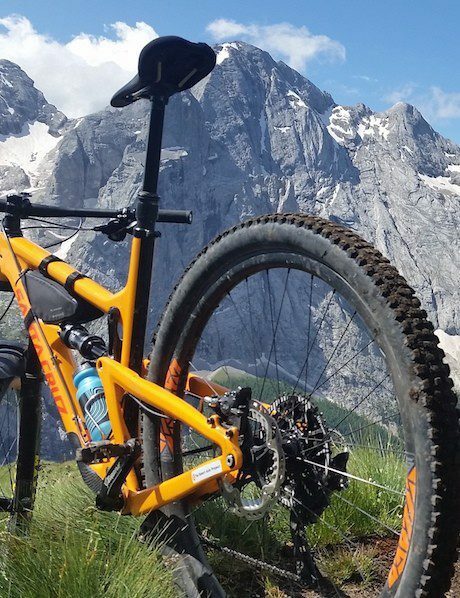 Highly recommended if your intention is to improve your mountain bike. Warm greetings from the mountains of Old Europe. 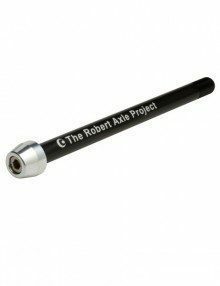 So this is my second axle from Robert Axle Project. I put one on my Kona Big Honzo DL after the OEM skewer kept coming loose. 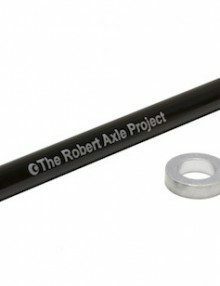 My LBS, Tryon Bike, suggested these guys for an axle and I haven’t had an issue yet with it. Rear end tightened up and no more worries about hitting it on rocks or it coming loose in the middle of a ride. 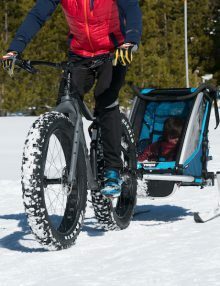 So I decided to buy one for my fatbike. It’s a locally made, small brand, so they weren’t on the Robert Axle site. 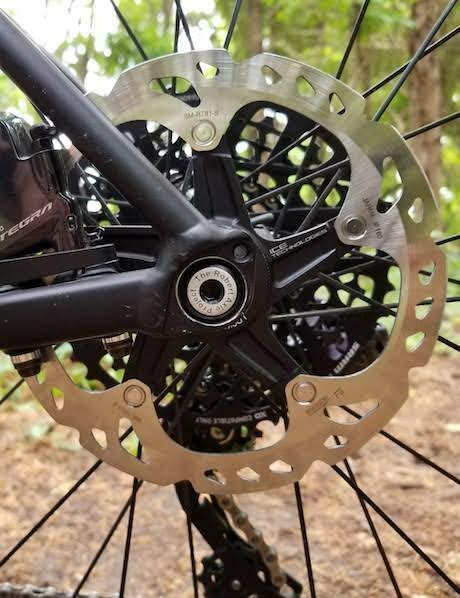 I followed their fitting guides, ordered my axle, and after a few cold/wet rides, it’s the same story as my Honzo: rear end tightened up, no more worries about the skewer coming lose (same OEM one as the Honzo) and lower profile. 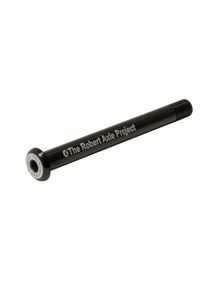 If/when I get another thru-axle bike, my first upgrade will be to one of these axles. Excellent stuff. 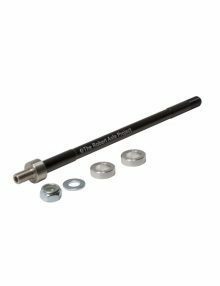 Strong low profile axle is just the ticket to give me peace of mind when I’m away from my bikes and they are locked to the rack. QR’s just make it easier for theft. I carry a mini tool so I decided it’s not much of a problem if I need to pull the wheel. 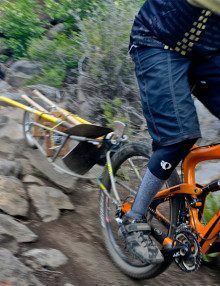 I have one on my Stumpjumper also. Perfect fit for my Motobecane Sturgis. 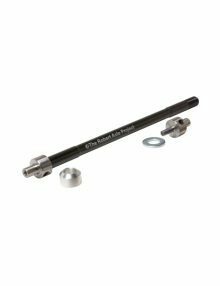 I was looking for a replacement for the cheapie that came with the bike and would not stay tight. 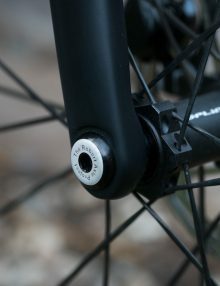 This was a perfect match and cleans up the look of the bike by getting rid of that large quick release lever. The quality is high and the threads match perfect. 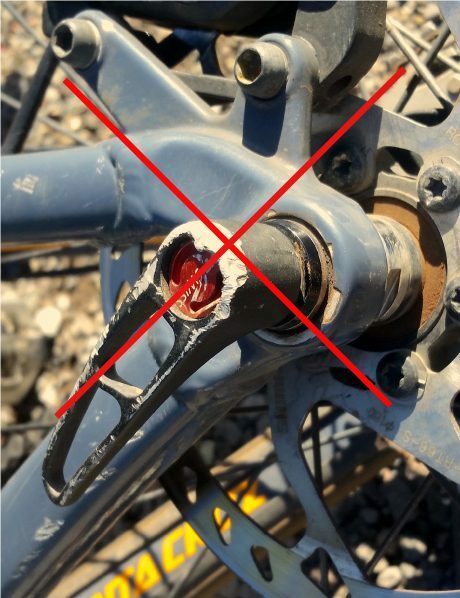 The axle stays tight and does what it is supposed to. Great product.